The Honda Accord has been one of the most popular vehicles in the Honda lineup for years. The 2019 model may be the best one yet. Yes, we say that just about every year, but it’s true just about every year. 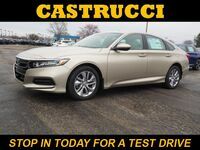 Honda continuously works to improve the Accord because it has been the best-selling model for the last several years. While its design perfectly embodies sportiness and sophistication, it’s often what’s on the inside that matters more. 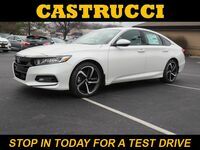 Bluetooth streaming audio, dual-zone climate control, Honda Sensing® safety, and a 7-inch driver information interface are just some of the standard interior inclusions. Technological amenities are, of course, vital to a vehicle’s prestige status. 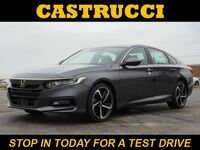 While you enjoy the interior comfort of the 2019 Accord, the car will be working hard under the hood. The LX (base), Sport, EX, and EX-L trim levels all feature a 1.5-liter turbocharged and intercooled DOHC inline four-cylinder engine. The top-of-the-line Touring trim maximizes the power with its 252-horsepower, 2.0-liter turbo I4 engine. 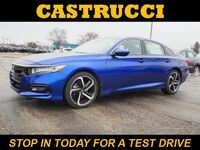 The 2019 Accord is also available in a hybrid form, which averages up to 48 highway mpg*, 48 city mpg*, and therefore 48 combined mpg*. The non-hybrid models also boast respectable fuel economies**. 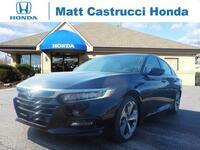 Come down to Matt Castrucci Honda and see what all the buzz is about. 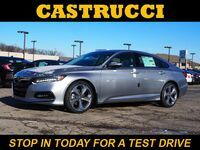 We will go over everything else you need to know about this car and get you set up with a test drive. We hope to see you soon! *48 city/48 highway/48 combined mpg rating. Based on 2019 EPA mileage ratings. Use for comparison purposes only. Your mileage will vary depending on driving conditions, how you drive and maintain your vehicle, battery-pack, age/condition and other factors. **30 city/38 highway/33 combined mpg rating for LX, EX and EX-L 1.5T trims. 29 city/35 highway/31 combined mpg rating for Sport 1.5 CVT trim. 26 city/35 highway/30 combined mpg rating for Sport 1.5T 6MT trim. 22 city/32 highway/26 combined mpg rating for Sport and Touring 2.0T trims. 23 city/34 highway/27 combined mpg rating for EX-L 2.0T trim. Based on 2019 EPA mileage ratings. Use for comparison purposes only. Your mileage will vary depending on how you drive and maintain your vehicle, driving conditions and other factors.